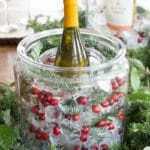 You can make the holiday season fun and magical while still being environmentally conscious. 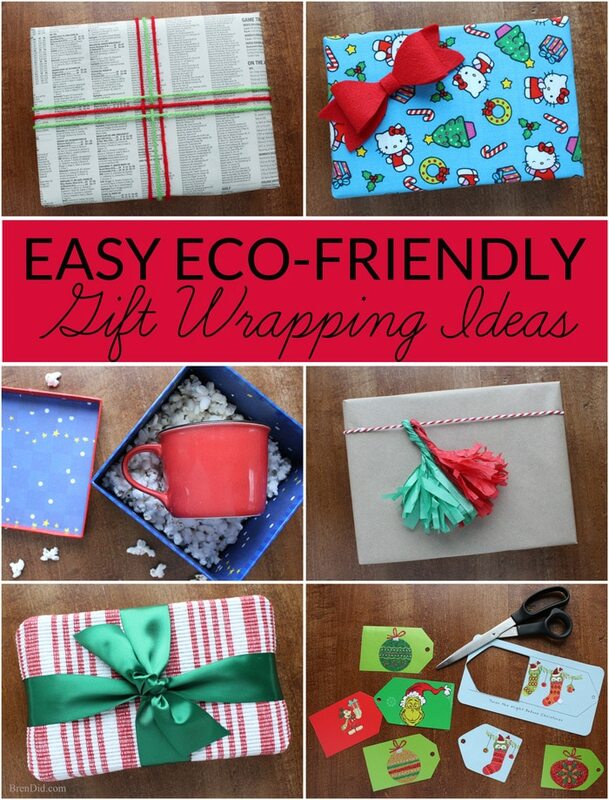 Green your holiday gift giving by making eco-friendly choices when wrapping your gifts. These 8 eco-friendly gift wrapping ideas will help you give beautifully wrapped gifts that have less impact on the planet. I love elaborate decorations and beautiful wrapping paper . 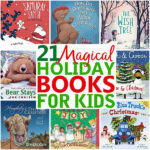 They make holiday gifts feel extra special! But, after the gifts have been opened, the boxes have been torn apart, and the trash has been heaped in a corner the piles of waste ALWAYS make me feel bad about the environmental impact of all theses holiday embellishments! Wrapping paper is lovely, but it only lasts for a few minutes and can be costly. 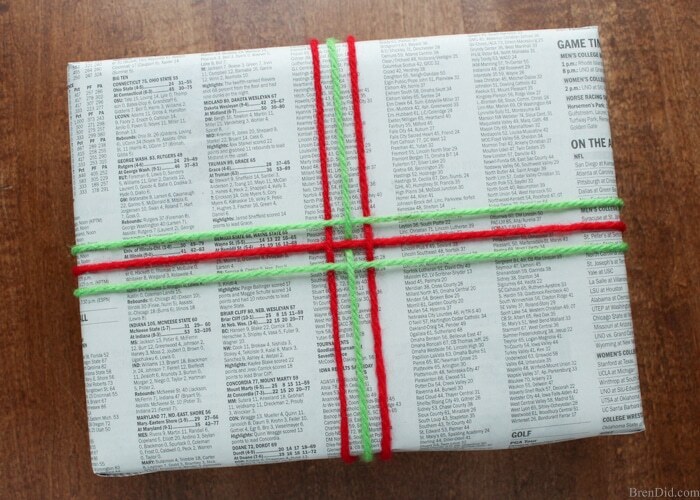 Try wrapping gifts in these creative and green ways. 1 – Use newspapers or brown paper bags to wrap gifts. Gifts wrapped in simple materials can be fabulous. 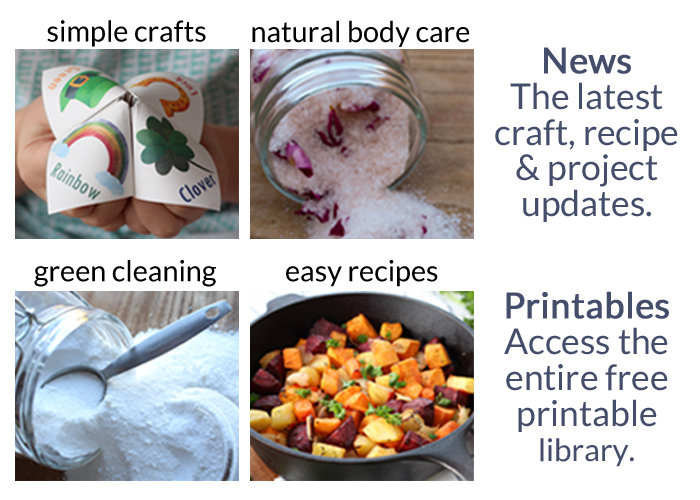 Save your paper bags, black and white newsprint, and the cartoon section for free and eco-friendly wrapping paper. 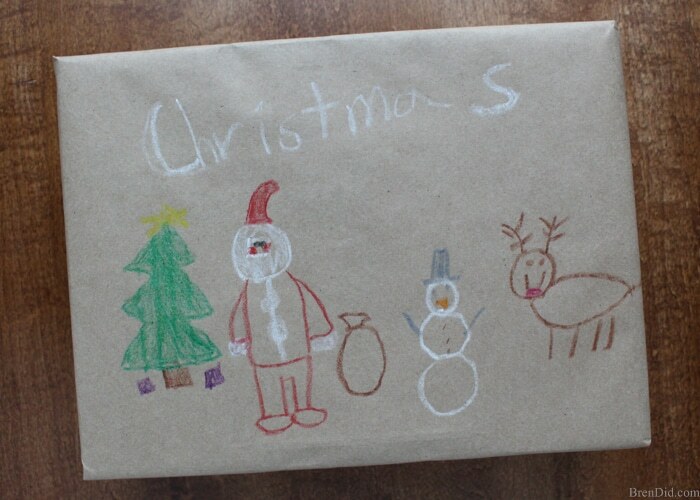 2 – Turn kids' artwork into present wrappings for family members. Kids love to draw and paint. Turn those extra piles of art into extra special gift wrapping for family members. Grandparents love the customized gift. 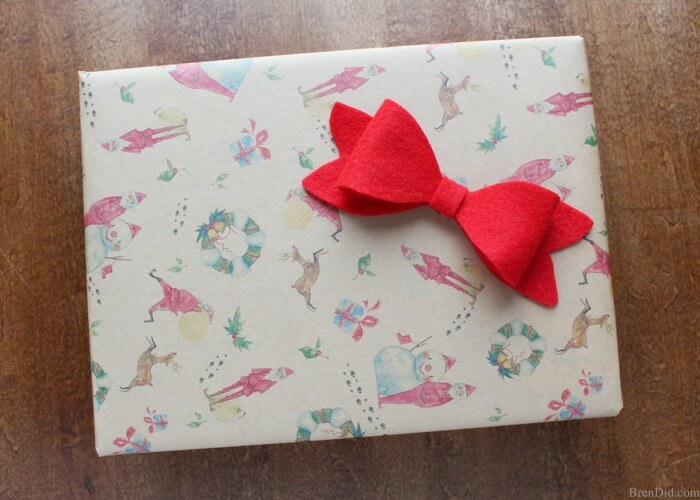 3 – Use fabric as wrapping paper. Holiday fabric, patterned towels or even decorative place mats can make excellent gift wrap that can be used again and again. 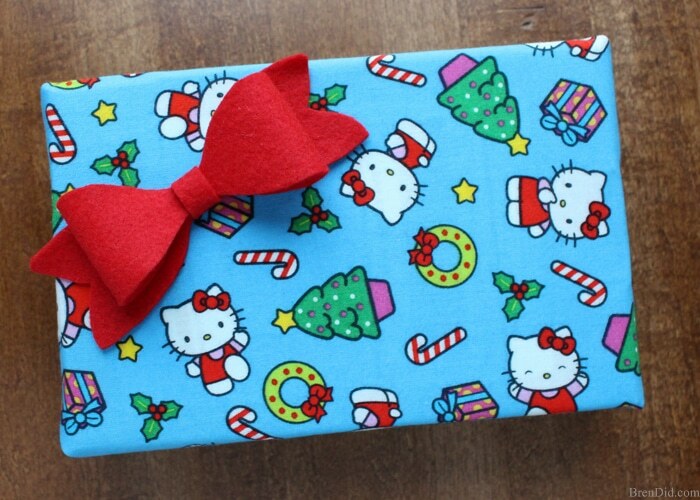 The sky is the limit when it comes to patterned fabric styles; this Hello Kitty fabric is perfect for Christmas. Fabric wrappings can come from many places. Keep your eyes out for different options, this cotton place mat from the dollar store makes beautiful gift wrap and can be re-used as table decor! Skip the plastic ribbon by making your own custom gift toppers. 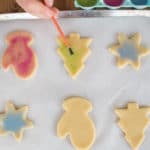 They are more original and decorative than store-bought bows and help reduce plastic waste. 4 – Make fabric or scrap paper bows. Beautiful bows are easy to make from craft felt. The fabric makes durable bows that can be used multiple times. (They can even be transformed into holiday hair accessories!) Get the full directions and a free printable pattern for easy felt bows. You can also try using fabric ribbon or natural fiber yarn in place of plastic ribbon. 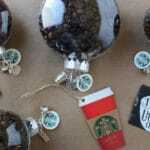 They can be reused for future holidays or turned into new craft projects. 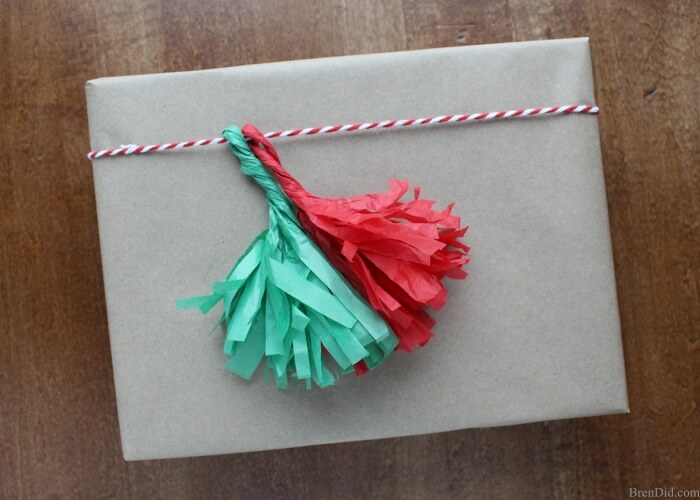 5 – Use a pom pom as a cheerful gift topper. 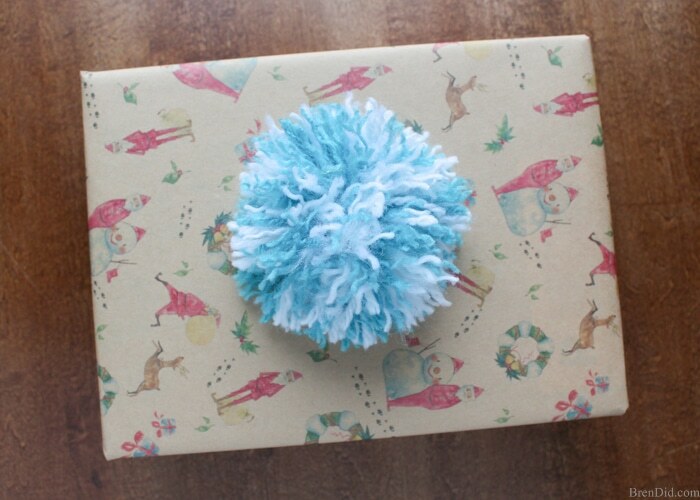 Pom poms are an adorable package topper and are easy to make from leftover yarn. They can be stored and reused year after year. Learn to make easy yarn pom poms with this tutorial. 6 – Tassels are all the rage, use them on your gifts this holiday season. 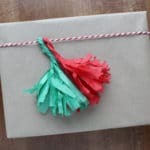 Recycle tissue paper from gifts of Christmas past into elaborate tassel gift toppers. 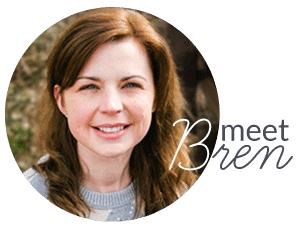 Your recipients will never guess that you made them for free! Get the easy tassel tutorial. Gift wrapping is just the start to a green holiday season. These three additional ideas can help you lessen your environment footprint even more. 7 – Turn old holiday cards or bit of wrapping paper into gift tags. Make your own simple gift tags from old holiday cards and leftover bits of wrapping paper. 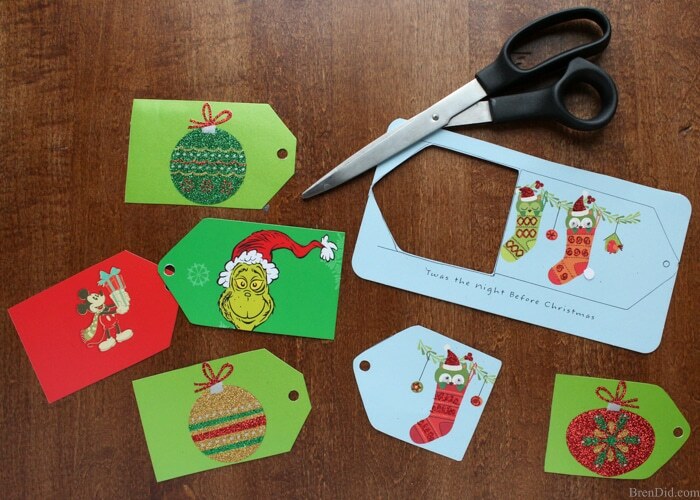 Simply trace a gift tag, cut it out, and enjoy free gift tags. 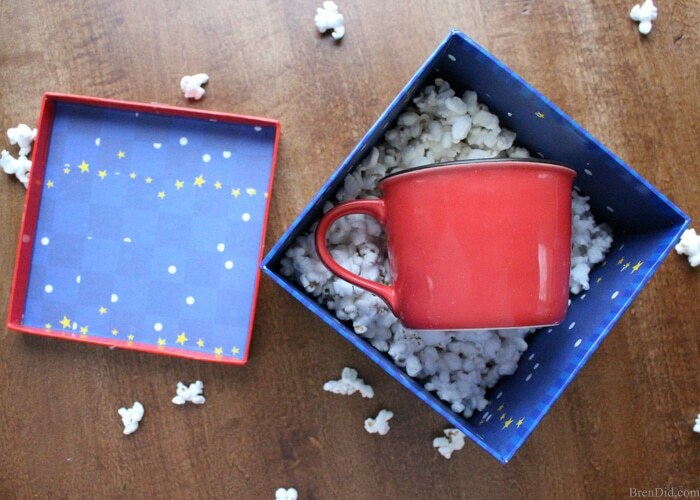 8 – Choose biodegradable packing peanuts or popcorn to pad gifts. Most packing peanuts are made from plastic materials which will not breakdown for thousands of years. Choose packing peanuts made from corn starch or simply air pop popcorn to protect your gifts. Like my creative ideas? Sign up for my free newsletter below and never miss a thing!